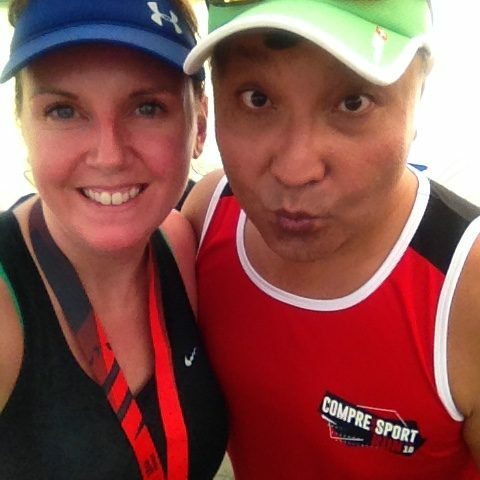 Race Review: Compressport Run 2016 [10 km] (by Sharon C) | JustRunLah! 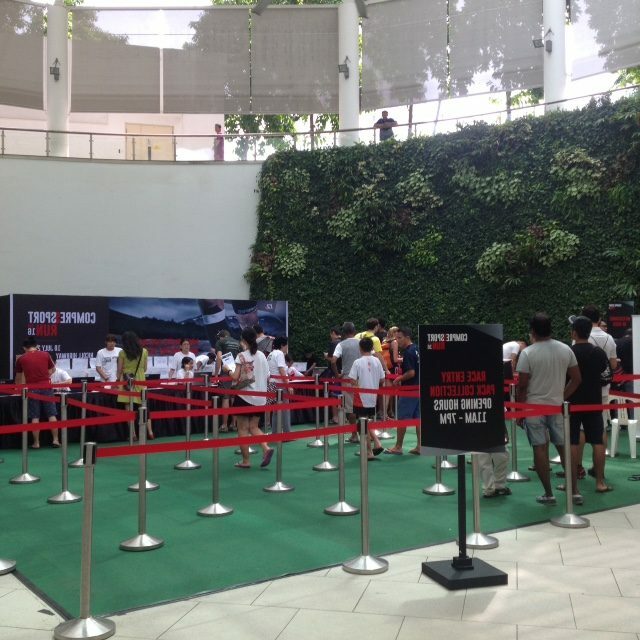 Yesterday was the inaugural run organised by Compressport – its main aim being to bring Singapore’s running community together. I was excited to be part of this run, which started at Nicoll Highway, one of my favourite race routes. I decided to sign up for the 10km category, while my husband opted for the 5km run. 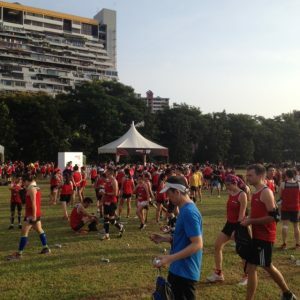 Participants in the 10km category received Compressport compression calf sleeves, which I was eager to try out. 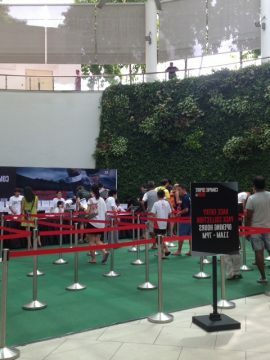 Race pack collection was at City Square Mall and there were no queues when I went on the Saturday afternoon. 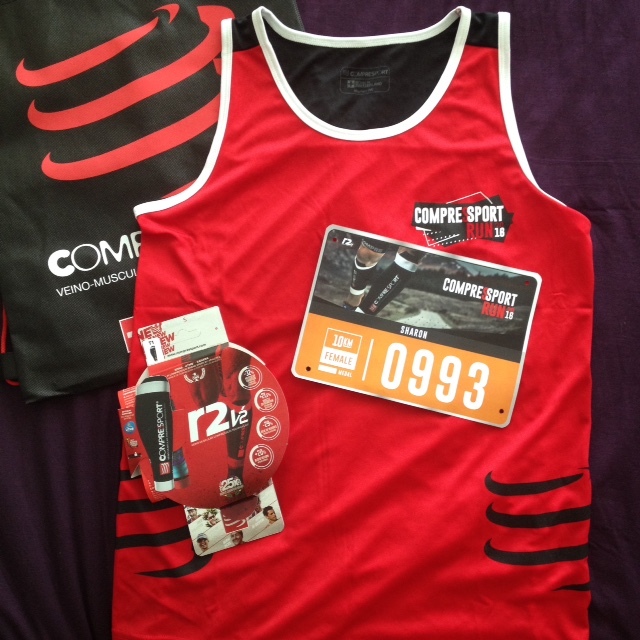 As well as the Compressport calf sleeves, the pack contained the race event singlet and some vouchers from the sponsors. I must admit, I’ve had better swag in a race pack, but the calf sleeves won me over. 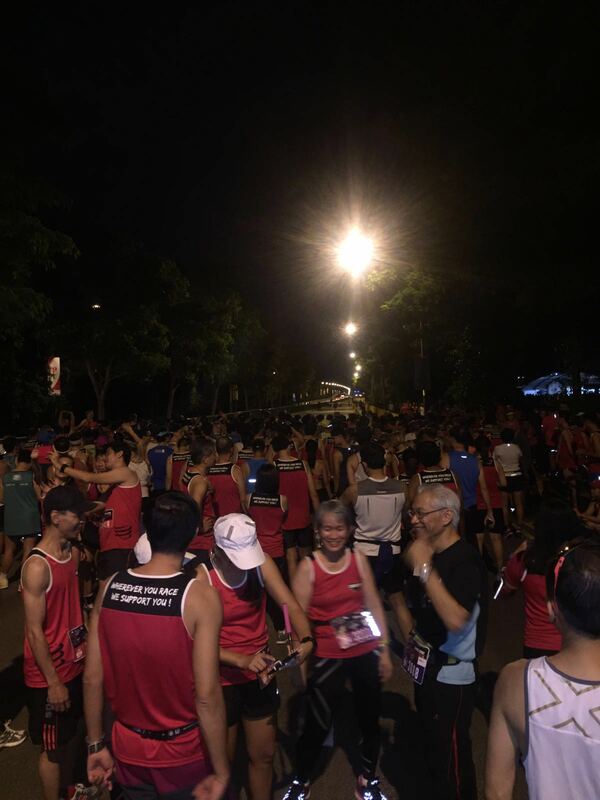 The 10km event flagged off on time at 6.30am. This is my favourite time to race as it’s generally cooler and you get to see the sun rise as you run. My husband and I got to the race village a little after 6am. I headed straight to the pen to warm up and be part of the first wave of runners. The route took us down Nicoll Highway, past the Singapore Sports Hub, Gardens by the Bay, Marina Barrage and the Olympic Youth Park. I thoroughly enjoyed the run as it’s a scenic route and some of it is familiar to me from previous races. The route was generally flat but there were a few sharp bends and slopes along the way. When the gun went off at start time, I made a conscious effort to hold back and not get swept along with the super-speedy runners, and in my case, be fit to collapse after 3km. I tried to maintain a steady pace throughout, only starting to speed up when I hit 7km. There were 3 hydration points along the route, which I feel was ample for the run. Delighted to see the finish line coming into view, I staggered over it just under 57 minutes (unofficial time) and although not a PB for me on this occasion, I was pleased with how I paced myself during the race. 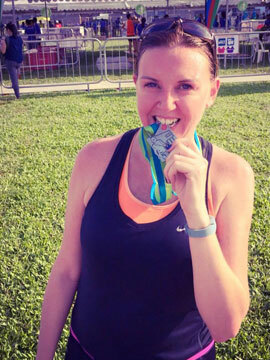 After I’d caught my breath and collected my medal (yay!) and an ice-cold can of 100 Plus, I headed over to the start line where the 5km was about to be flagged off, to cheer on my husband. While I waited for him, I had a wander around the race village chatting with some of the runners and chilled out at the stage area. Overall, it was an enjoyable and well-organised race and I’d definitely sign up for next year’s event!